Middle East Perspectives by Rick Francona: Hizballah fully rearmed - is anyone surprised? Hizballah fully rearmed - is anyone surprised? The 2006 war between Israel and Hizballah ended with the adoption by Lebanon and Israel of United Nations Security Council Resolution 1701. According to the agreement, Israeli forces would withdraw from southern Lebanon and cease offensive operations. In return, Hizballah agreed to disarm its militia members south of the Litani River - the members themselves could remain in the area since many of them are residents there. Additionally, the Lebanese Army was to deploy into the border area with Israel, supported by an augmented United Nations Interim Force in Lebanon (UNIFIL). French and Italian military forces were deployed to augment the "interim" force - it has been "interim" for over 30 years, having been created in 1978. The Lebanese Army and UNIFIL were to ensure Hizballah's disarmament. However, that has not happened. Early on, UNIFIL stated that its role was not to disarm Hizballah, but to assist the Lebanese Army in that mission. The Lebanese Army refused to disarm fellow Lebanese. Thus, Hizballah was never disarmed. Not only did Hizballah not disarm, almost immediately after the cease-fire took effect in August 2006, weapons began to flow again through the existing pipeline that starts in Iran and Syria, crosses the Syria-Lebanon frontier on the Beirut-Damascus highway and ends in the Biqa' Valley where the weapons are turned over to Hizballah for futher deployment. This has been going on since Hizballah's creation by Iran's Islamic Revolutionary Guard Corps in 1982. There seems to be no disagreement about the current status in Lebanon. Israeli military intelligence officers, United Nations officials and Hizballah leaders all claim that Hizballah is better armed that it was prior to the hostilities. That armament is not only greater in quantity, but in quality as well. 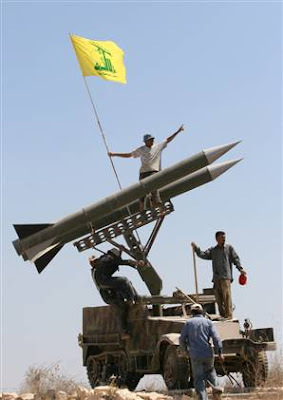 Hizballah claims - and Israeli officials believe - that Hizballah has acquired rockets that can reach Tel Aviv. There have also been reports that Syria has trained Hizballah fighters how to operate the SA-8 mobile surface-to-air missile system. This system poses a moderate threat to Israeli aircraft operating over Lebanon. Thus far, the SA-8 has not been introduced into Lebanon. If it is, the Israelis will attack them - they did the same thing to the Syrians in 1982 when they introduced the SA-6 mobile system. Everyone agrees that Hizballah has rearmed. Everyone knows that Syrian and Iran - in violation of UNSCR 1701 - is responsible. This happened under the noses - or with the complicity - of the Lebanese Army and UNIFIL with its Italian and French augmentees. Neither the UN nor the Lebanese military has been effective. Yet, the United Nations keeps asking for funding to continue to pay for the "interim" force. Why bother? 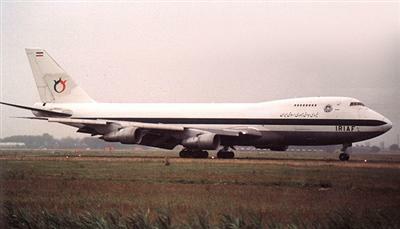 Thoughts on the release of the "Lockerbie bomber"
Should we re-assess the U.S. role in Afghanistan?